Predicting trends is a marvellously interesting thing to do. In fact, it’s so stinkin’ fun that I’ve snabbled together a bunch of incredible bloggers to predict 2016’s trends with me. We are all smart and wise. Obviously our predictions are going to be excellent and perfect and wise. I did this last year as well! And we all (helpfully) predicted — ENTIRELY DIFFERENT THINGS. I told you it was fun. Also gargantuan thank you to all these bloggers who participated! And they all have fabulous blogs which I 100% recommend stalking. I am just sayin’. I THINK that the new trend will be epic fantasy. I HOPE that the new trend will be killer robots. Or, possibly, dragons. Don’t get me wrong, I think YA needs more epic fantasy, and I’m looking forward to the epic fantasy novels I know are coming out. But YA also needs more killer robots. And dragons. But, then, everything needs more dragons. And, gosh, where do I start with books I’m looking forward too? I’m practically frothing at the mouth to get to Marissa Meyer’s yet-untitlted series about super heroes and super villains, as well as A Study in Charlotte and The Reader. Also Lady Midnight. And Glass Sword. I want them ALL. 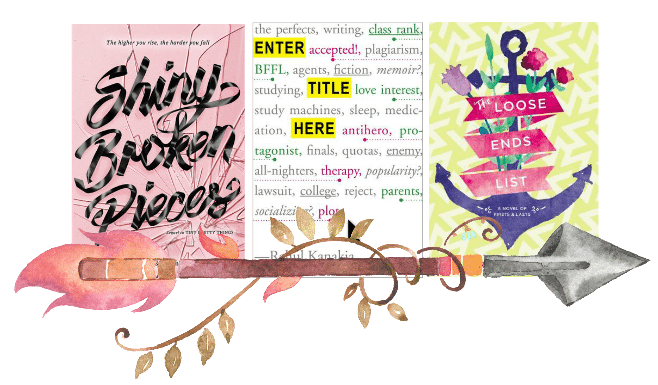 There are SO MANY books I’m excited to be released in the upcoming year! What I’ve specifically noticed in trends is TIME TRAVEL. In January, we already have the highly anticipated PASSENGER (by Alexandra Bracken) and THE LOVE THAT SPLIT THE WORLD (by Emily Henry). (I’ve read both and they’re spectacular!) Before this year (or last year, now), the only time travel book i read was A WRINKLE IN TIME and that was waaaaaaay long ago. I also see quite a bit of pirate-related books and some historical fiction mixed with fantasy? On the top of my head, I can already name PASSENGER (mentioned above), BLACKHEARTS (by Nicole Castroman), and THE GIRL FROM EVERYWHERE (by heidi heilig). 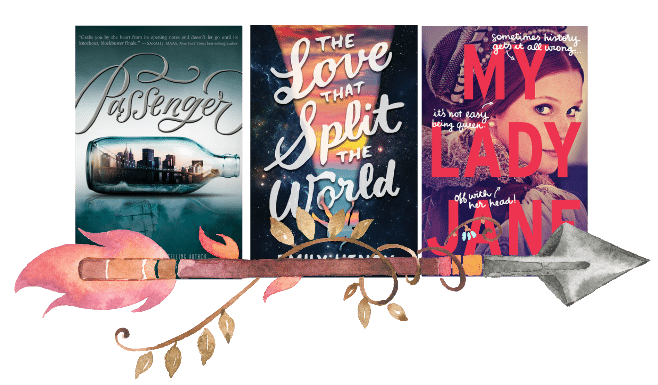 I suppose some of these could also be considered historical fiction mixed with fantasy, but in addition, there’s THE CROWN’S GAME (by Evelyn Skye) that everyone’s been talking about, and maybe MY LADY JANE (by Cynthia Hand, Brodi Ashton, and Jodi Meadows). I think 2016 will be an interesting year in trends! I’m excited to read all of the books mentioned, despite some similar elements. After the success of books such as All the Bright Places, Made You Up, Challenger Deep, and Simon vs. the Homo Sapiens Agenda, I think the books released in 2016 will feature heavily on diversity. With the popularity of these books, combined with the We Need Diverse Books campaign, a lot of authors will be inspired to diversify their books. 2015 was a great year for contemporary and fantasy, but contemporary really stood out because of the sheer amount of diverse books that released. I think I’ve read a book with just about every letter from LGBTQIA in it in some way, which is all kinds of awesome of course. But if I had to predict which genre will be biggest in 2016, I have to say YA Fantasy, even though there are a ton of contemporary books releasing that I’m so excited for. But when I look at my ARC pile and the books on my waiting-for-list, Fantasy is the clear winner. There are a ton of YA Fantasy books releasing and all of them are pretty different. There are a couple that mix fantasy with science fiction and historical fiction, all of them sounding awesome. So if I had to choose the ones I’m excited for, outside the obvious choices of Queen Schwab’s books, I’d say Nevernight by Jay Kristoff because HI IT’S JAY FREAKING KRISTOFF OKAY. And of course Truthwitch by Susan Dennard because it was compared to Avatar: The Last Airbender, which is all kinds of awesome. So there. Here’s hoping I haven’t jinxed the success of YA Fantasy this year. I personally think that 2016 is going to be a year of pirates, sea travels and ships – and I mean the literal ones. I am saying this mostly based on the 2016 releases we know of so far, which consisted of a strikingly noticeable number of books which contains the trope. 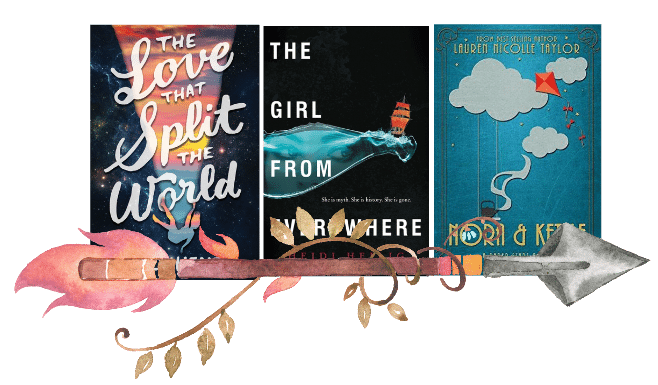 While Truthwitch, The Girl From Everywhere, Passenger, Unhooked and Blackhearts not only are examples for this new trend, they also proudly display ships of various kinds on their covers, and their blurbs hint sea travels. Plus, anyone who peeked into the first two chapters of A Gathering of Shadows would also know that the book is undeniably Lila’s story – an aspiring pirate in the first book – and the story actually starts with pirates. I also have a feeling that 2016 is a year for more diversity in the ethnicity side, which is amazing! While 2015 opened the way to a lot of books about mental health, a lot of 2016 releases are ethnically diverse. The Star Touched Queen is an Indian fantasy, The Crown’s Game takes place in Russia, Rebel of the Sands has a Middle Eastern touch and then we have an Aladdin retelling, The Forbidden Wish and sequel wise we have The Rose and the Dagger — a book based on Persian culture. To me, this trend is glorious, especially since most of them are fantasy books. YAY FOR DIVERSE FANTASY!!! Oh and 2016 anticipated reads….Probably the one I am dying to read the most is This Savage Song because Victoria Schwab is my favourite author and everything she writes is marvellous. Also The Star Touched Queen, because that book is a dream come true for a South Asian like me. Fantasy can never really go away enough to warrant a “comeback” title, but I’m awarding it one anyway. Here, fantasy! *crowns* Welcome back! In my heavily biased opinion, 2015 has been a fantastic year (pun absolutely intended), and 2016 is looking to be even more so. The series we’ve started in 2015 should produce amazing sequels. My most anticipated book right now is Maggie Stiefvater’s The Raven King. On top of that, we’re looking at some very promising new series. There’s Truthwitch by Susan Dennard, Strange the Dreamer by Laini Taylor, Passenger by Alexandra Bracken, and about one billion more. My anticipated-releases list is so long, it could become a book in its own right. In Cait’s own words – HUZZAH! Fantasy is expanding, too. With a rise in retellings, which Cait has so accurately predicted last year, we’ve seen authors embrace and explore other cultures, too. Arabic legends, in The Wrath and the Dawn, A Thousand Nights. Chinese folklore, in Soundless. And next year with Kiersten White’s Conquerors Saga joining the fray, we finally get to marry fantasy with something other than the run-of-the-mill western cultural stamp. It’s going to be a beautiful ceremony, too. I’m excited for Culturally Diverse Fantasy. And I’m praying for lots and lots of research beforehand. Also, I’m willing to mortgage my soul to whoever makes à-la-Illuminae books with unique formatting a proper trend. In 2016 I think we’re going to be seeing a lot of our good friends fantasy and contemporary. This year also seems to be the year of epic premises, like with Passenger, This Savage Song and The Girl From Everywhere. Luckily we can also expect to see lots more diversity, both with authors and their characters (I’m particularly excited for Enter Title Here, featuring protagonist Reshma Kapoor) about a girl who finds a literary agent and gets a book deal. I’m really excited for Shiny Broken Pieces (Tiny Pretty Things #2) and ACOMAF this year. So, 2016. I predict that there are going to be a LOT of new books. Not specific enough? Fine, fine. Fantasy is a big deal. 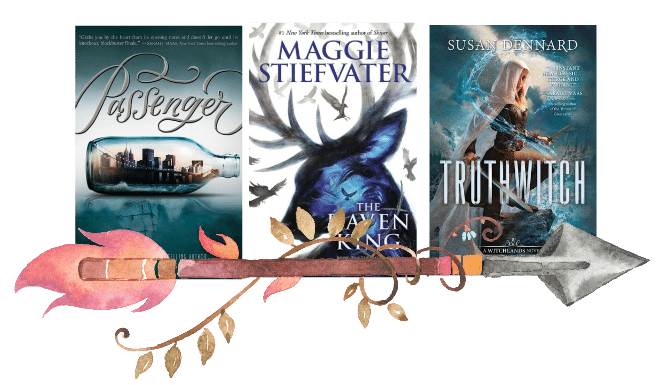 The hyped books of the first half of the year are almost exclusively fantasy (Truthwitch, I’m looking at you especially), and even the books that are starting to get some buzz for the fall are fantasy (The Reader, Caraval, A Shadow Bright and Burning,and Ever the Hunted pop into mind as ones I am particularly excited about.) Bonus points if it is a re-telling, ala Heartless or Unhooked. Also certain to be huge again this year, especially on the contemporary side, is diverse books. That’s obviously a win. There are a lot of books dealing with really tough issues again: Gender fluidity in The Symptoms of Being Human, a character’s trans experience in If I Was Your Girl, and autism in On the Edge of Gone. Obviously there will always be room to grow when it comes to diversity, but over the past two years the strides were great, and I only see them becoming greater this year! As for what I am looking forward to the most? I mentioned a few fantasies up above, but um, look, I am terrible at deciding on books. I want them all. How can I choose? It’s like Sophie’s Choice. Gah. I will tell you that I have read three books so far that I will throw at literally anyone: The Love that Split the World, Nora & Kettle, and The Girl From Everywhere. And last but not least, here is the Papery Furious opinion of your bloggish host! Although I feel like everyone has covered my predictions too. I’m going yell, quite firmly and fiercely, fantasy is on the rise! HUZZAH. It’s my favourite genre so I’m intensely partial to this oncoming trend. And what pleases me more is that the fantasy all seems to be coming from an intensely diverse angle. I am so happy I could eat a planet. A WHOLE PLANET. Rebel of the Sands has a Middle East vibe, and The Crown’s Game is Russian, while The Rose and the Dagger is Persian. I’m also monstrously pleased that (while it’s toned down a little after 2015) retellings are still happening! With The Forbidden Wish (Aladdin), Nora And Kettle (Peter Pan), Heartless (Alice in Wonderland), Stealing Snow (Snow White), Bright Smoke, Cold Fire (Romeo and Juliet) and Never Ever (Peter Pan) all coming to our clammy, eagerly awaiting paws. Are your TBRs groaning under the weight of all these anticipated delicious novels?! We’re not even sorry. Not even a little. I know it was quite a massively long post but, we’re just all too PASSIONATE ABOUT BOOKS okay?! And someone remind me to do more collaborative posts like this in the future because it. is. fun. 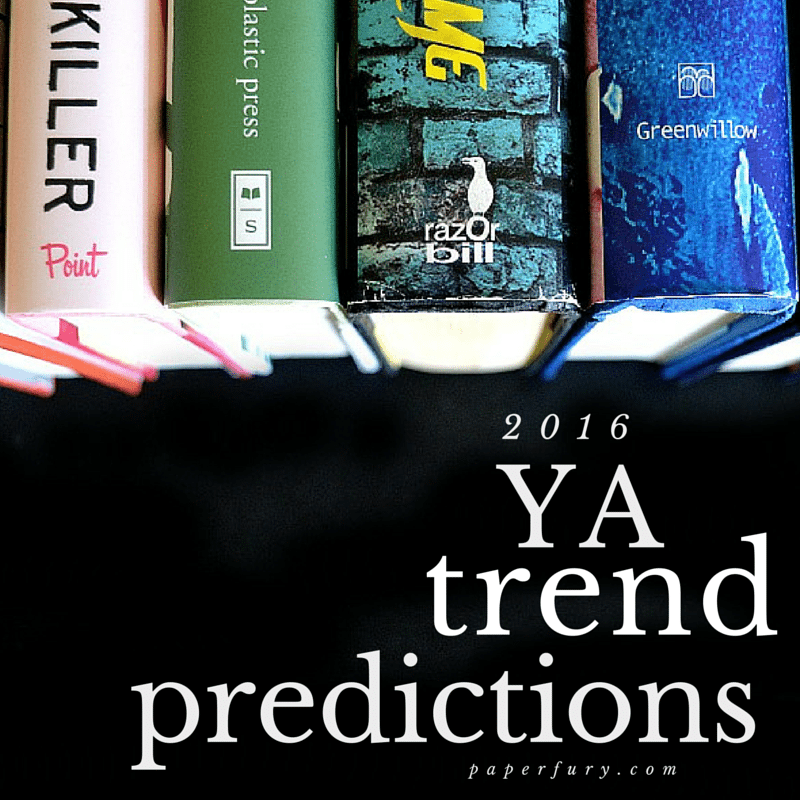 what genres and trends do you think will be big in YA during 2016?!? totally add in your opinions in the comments and let us know what you think of our predictions. are we way off or magnanimously wise? and are you anticipating any of these books? LET US KNOW. I think diversity, particularly gender and sexual diversity will be big themes again this year. It does look like pirates and time travel will make several appearances this year as well. I’m looking forward to seeing where the year goes. Why are all your posts so SO gorgeous? I mean look at the energy level. So glad to know you are excited about upcoming titles. Hoping you have a bookish year ahead. And I am with you on – YES WE NEED MORE DRAGONS. Omg, thank you!! THIS LIKE MEANS SO MUCH TO ME. <3 hehe I worked really hard on this post. AHEM. SO YES. Dragons = needs. I think we should petition the publishers to fix this. It’s going to be an amaing year of YA, I can already tell. I have been making spread sheets of books coming out each month. May is going to be crazy with YA. Cannot wait. IT IS!! I 100% AGREE! I think it’ll be better than 2015, to be honest. SQUEE. *whispers* if retellings become a dead genre I think I will just bury myself in despair because my writing career is probably over before it even begins. I hope not. PS: I THINK THE NEXT TREND IS VICTORIA SCHWAB BECAUSE SHE HAS TWOOOOO BOOKS COMING OUT NEXT YEAR AND SHE’S WRITING EVEN MORE. THIS IS CLEARLY WISHFUL THINKING I BASICALLY JUST WANT MOREE OF HER WRITING. don’t forget to read ADSOM! *whispers* I’m gonna side with you because I write a heck of a lot of retellings and it’ll be nasty if it goes on the out. I think we’ll have to rebel against society. We can combine dragon forces and cackle evilly for effect. There will be no downside. PS. I THINK VE SCHWAB IS TRYING TO RUN FOR QUEEN AND IDEK, SHE’S SO AMAZING AND I LOVE HER BUT WE MIGHT HAVE TO FIGHT ABOUT IT SOMEDAY. I AGREE WITH ALL OF THIS. I think epic fantasy is going to be a big thing this year because everyone is a little tired of normal fantasy and is hoping for a little something different. Also I’m spying a lot more diverse books that are coming out this year which makes me !really! happy! I ALREADY AM DYING OVER 2017 BOOKS. ESPECIALLY THE DRAGON ONES, GAHHH, ELLA. DYYYYYING HERE. I totally agree about time-travel being quite a dominant topic in 2016. I even wrote a post back in October about boom of this subgenre. Also, fantasy seems to still be strong among 2016 realeases and I am super happy about that 🙂 One can never have enough fantasy novels, right? YESSSS to fantasy. It’s definitely on the rise. That, and I think science fiction, too. What with the popularity of books such as ILLUMINAE, I think we’re going to start seeing more of them (I think. I hope.) But definitely more fantasy. I soo hope Illuminae starts a sci-fi trend! Or just a trend with PICTURES IN YA BOOKS BECAUSE OMG THAT’S MY FAVOURITE THING EVER. Spectacular post as usual! I agree with all of you, fantasy and contemporary are going to be a big deal this year. I’m really looking forward to all of the time travel and pirate books as well. I also hope to see more diverse books on the shelves. There are too many books I’d like to own. Oooh, definitely fantasy! And space opera! 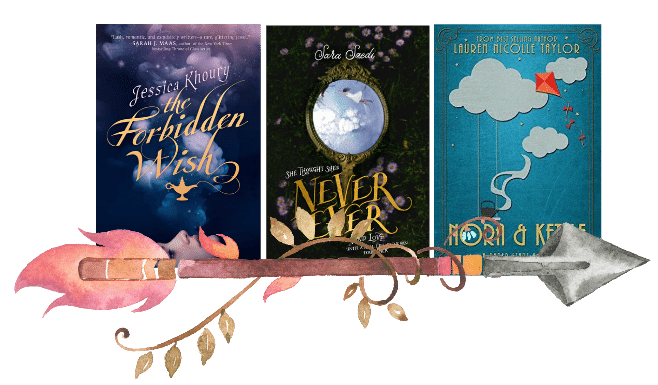 YA Fantasy is such an amazing trend, what with many novels incorporating myth and folklore from source materials around the world – Indian, Chinese, Japanese, African! One of my WIP features Philippine myth – who am I kidding? They’re all featuring Phil myth! Anyway, loadsa fun in this post! Yes, I definitely see fantasy being a huge hit in 2016! And definitely agree with there being more diversity in it, which is really great to see 🙂 And totally agree with you Cait, I am still loving all the retellings that are coming out! Whooot! :O This is a happy thing to read! My own prediction was that science fiction would start trending (although, maybe that WILL happen, just in the movie world and not the YA novel world)… BUT THIS IS INFINITELY BETTER because I’m currently WRITING a fantasy novel and it’d be super convenient if I accidentally released it during a trend. HMM. COOL. This is what happens when one obsessively stalks Goodreads. 😂😂 AHEM. That would not be me. Of coooourse not. hehhh. What the…. I hope not! Diversity shouldn’t be a trend, but a given.. Ethnic and cultural representation SHOULD BE and SHOULD HAVE BEEN present in popular YA books. This actually makes me quite angry, I hope that 2016 will be the year that people realize the flaws in the current YA market and demand more diversity. As in, actually downrate books because of their lack of diversity. But as a trend? Yikes. On a less angry note- I do hope that time travel will really kick off in 2016. I love everything time travel and am looking forward to Passenger and The Girl from Everywhere! Ohhh, sorry the post made you angry.😳 We are not meaning to talk about diversity in a bad manner…by “trend” we simply mean it’s on the rise! And the post is trends AND predictions. So yup. I do hope diversity will be in every book one day, I absolutely do. I think that there are going to be a lot of books that have evil pirates that rde on dragons instead of ships, oh and then they go off to fight some kind of character from a fairy tale. And instead off all of the the people being the same, WE WILL HAVE DIVERSITY. I AM SO WITH YOU ON THIS. I want evil pirate riding dragons. Wait. Evil dragon riding pirates? Idek…I want the dragons to ride the PIRATES. HA, clearly we’re all fortune-telling geniuses. But also omg this post is so pretty. ALL THOSE COVERS. (maybe I should have predicted more pretty covers than ever before???). SO EXCITED TO START READING SOME 2016 BOOKS. ALL THE BOOKS, Gah. *drools* I want them all. Sorry, I blacked out for a moment there. I know for this year I plan to read more contemporary, because I am suddenly in the mood for books like The Fault in Our Stars and Extraordinary Means and The Perks of Being a Wallflower and All the Bright Places. That was random. I’m not sorry. *splashes coffee in your face* STAY WITH ME, LIZ. THINK CLAMLY ABOUT ALL THESE BOOKS. SLOW YOUR BREATHING. What does this mean? I am not familiar with such a concept. Hmm.. I think this year would be the year for contemporary, especially the ones that have more diversity about serious issues. And also time travel. I think most of the books on my 2016 tbr are about time-travel. I mean, since Outlander became a TV show, I think more authors are trying to use time-travel as the main theme of their books! I’ve only ever read one retelling (and I didn’t enjoy it) but, I have to admit, I am curious. I think last year was very contemporary, so this year will be more about fantasy. Aw, no love for the retellings. I CRY, I DO. Ahem. 😂 But a lot of my favourite series are ending too…and I’m kind of nervous because 2015 didn’t make me fall in love with a lot of series?! Like I only read one or two series starters that I got excited about. SO I’M KIND OF NERVOUS ABOUT THIS. I agree: fantasy is on the rise! I think we’ll see more fantasy this year, in particular pirates (aaargh matey!) and hopefully some killer robots too. Because you know, killer robots RULE. And I’m also glad that contemporaries also seem to be a staple, although I’m more glad with the rise of fantasy. ;D I do wonder why there’s so rarely sci-fi books though, right?!? I completely agree with the Fantasy & Diversity & Contemporary thing. Fantasy is SO popular right now and I think it will stay that way for a long time. Thanks for this amazing colab… SO MANY GREAT BOOKS! Awesome post Cait! This was super fun to see tons of other bloggers opinions. I am very happy that Fantasy seems to be on the rise, as it’s my favorite genre too. I definitely agree with all of your predictions! I have so many more books to add to my TBR now. IT IS MY FAVOURITE TOO. So I’m dancing with glee at this point! HUZZAH UNIVERSE! Definitely agree that there will be more YA fantasy this year, thank goodness. I NEED more books like Magonia in my life – if you’ve got any recommendations, please let me know. Passenger seems like something I’ll enjoy. It’s so interesting to see how all the bloggers had very similar ideas about what the trends for 2016 are going to be. It’ll be interesting to see a swap from dystopian to fantasy. And of course diversity is always great to see! Funnily enough I’m currently working on my own diverse fantasy book so I guess I’m on trend? This is my own desire and not a trend, but I would loveeee to see more sci-fi space stuff. Time travelling with tide me over for now, but I wish people were in space! We were all TELEPATHICALLY CONNECTED. 😂 hehe, but yes! I’ve noticed the utter decrease of dystopian. I think publishers have just said “ENOUGH!” or something, because it ended rather abruptly. hahah. I’m so with you there!! Time travel is all right, but GOSH I love space and I want more of it. MORE, I TELL YOU! My, my, look how we all agree! THE FANTASY, IT UNANIMOUSED US! 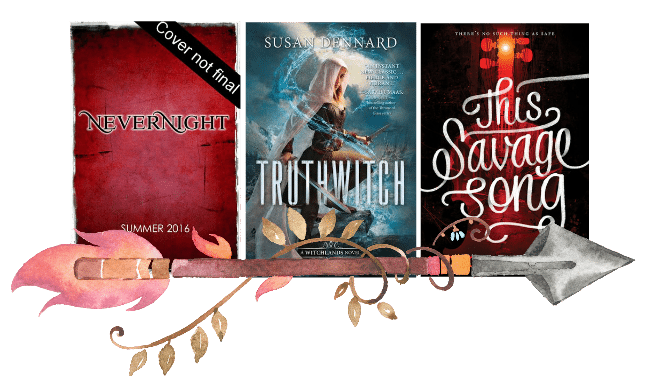 (And I don’t know about you, but Diverse Fantasy teaming up with Diverse Contemporary to bring us a fabulously diverse 2016 sounds, well, FABULOUS! Now who do we petition to make it an ALL-TIME STAPLE rather than a trend?) Also, I LOVE Alexandra and Mishma’s time-traveling-pirate predictions! MAKE IT HAPPEN, UNIVERSE! WE ARE A FABULOUS TEAM, THAT IS ALL. We were all totally connected whilst doing our pieces for this post. See how much our predictions match up??? GENIUSES ALL. Sooo…if you unexpectedly disappear from the internet, we shall go looking for you under a pile of collapsed TBR books? Ely @ what can i say? I forgot about pirate/ship books…it seems like they’re going to be a big thing, too, which should be interesting. Although I’m still holding out my hopes for killer robots and dragons. Also, time travel books. As a Doctor Who fangirl, I fully support time travel in fiction. I WANT MORE OF IT. And I’m still holding out hope for more books about social anxiety, but we’ll see. I’m going to stand here and support you supporting killer robots and dragons. I MEAN WHERE ARE THEY REALLY? Why has the universe not noticed us shrieking for dragons?! Thanks for contributing, Aine. ;D YOU ARE SO AWESOME YOU GOT TO GO FIRST, CLEARLY. These all look amazing, my TBR list is bigger than my list of tv shows, I will be tuning into . I think that’s a good thing, a person can always do with more books. I hope this year is a year of fantasy, because fantasy is the best. I adore retellings as well, I try to read as many as I can find. My list of TV shows for this year is a little bit large too. 😂 And I don’t even really watch a lot of TV…PLUS I need to read all these books and gahhh, SKYE. I NEED ANOTHER 9 CLONES. 😂 I’m so happy about the fantasy and retellings too!! I haven’t really been keeping track of what’s coming out, so most of these predictions are news to me. Oh too true! Like I mean, fantasy and contemporary seem to be the staples. Like they’re always SOMEWHAT there. And then dystopian and retellings and paranormals go into big and small cycles, so yes. ;D It’s kind of interesting to watch. Well, y’all are all about the fantasy and diversity and I couldn’t agree more! I think YA Fantasy has A LOT more to give, and I’m looking forward to what fantasy will mean this year for YA writers and readers. WE ARE. It’s awesome that we kind of all predicted similar stuff too. ;D GREAT MINDS. *coughs humbly* Ahem. But I’m excited to see fantasy moving forward…I think it’s usually on the smaller side?! SO YES. And YES also to diversity! I think there’s a loooong way to go, but it’s finally nice to see steps being taken! I would love to see someone write a book that has ALL OF THESE!! Draft it, Cait! Do it! Will you really? My TBR was groaning before, but now it’s dying. I’m SUPER DUPER looking forward to more fantasy. It’s my favorite genre as well. Add in some diversity and it’s perfect. I really haven’t read that many diverse books, but I really want to. I think fantasy will have a big year, and maybe time travel too as someone mentioned (and I hope so- LOVE time travel stories). And diversity really took off and that will only continue. I’m hoping for more Asian inspired stories- I’d like to see urban fantasy or fantasy that takes place in China, or Japan etc. yESSS. I haven’t actually read many time travel books?! So I hope these ones are epic and get me addicted to the genre. ;D And agreed: I want more Asian culture in books!! Fantasy seems to be a popular genre this year indeed, but mostly for already famous authors (V.E. Schwab, Sarah J. Mass, Laini Taylor, etc), so I don’t know if it’s a “trend” or simply high anticipation for new releases by authors we already know and trust. Yet I do agree that diverse books will truly be a trend, even more than in 2015, notably because authors have promoted that a lot. Also, and I’m sure you’ll agree with me, I’d love to witness a trend for books with cake-loving characters. Because most of the time we know nothing of their eating habits and, let’s be real, food is life, and life is portrayed in books, so by double inclusion there should be more food in books. Mathematics at our rescue, who would have thought? On a side note, as many people have already written, the post looks awesome! DOUBLE YAY. ALL THE YAYS. fantasy in all of its iterations definitely seems huge! I agree though that we are also finally starting to see more diversity — cultural, gender, mental, etc. I love it!! Great post!! My TBR may’ve just collapsed. I’ll be back with a proper comment later. heehee. 2017 is TAUNTING me with delicious books. I mean, seriously, are publishers doing this on purpose to make us just collapse in anticipation?!? I NEED A TIME MACHIN BECAUSE I NEED ALL THESE BOOKS. I’m seeing a lot Fantasy and I am a-okay with that! Definitely looking forward to a ton of these books! 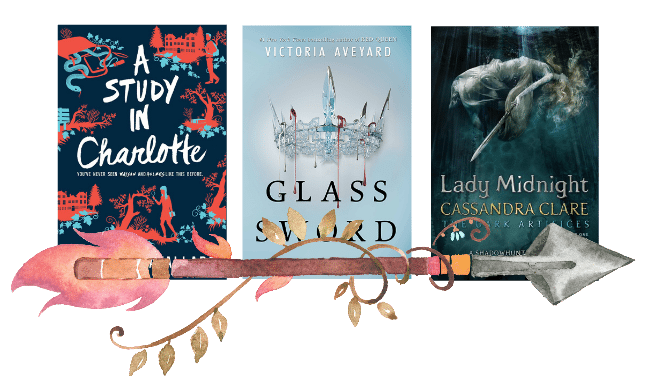 So excited for Glass Sword and A Study in Charlotte to come out!!!!! OMG I CAN’T WAIT!!!!!!!!!!!!!! Speaking of pirates: no one mentioned THE ABYSS SURROUNDS US by Emily Skrutskie, which is coming out this year and is excellent! I highly recommend it. I haven’t even heard of that one yet *gasps* I’M OFF TO LOOK IT UP!! I AM EXCITED TOO!! LET US JUST JUMP UP AND DOWN AND EMBRACE THE EXCITE. Also let’s kidnap the well of immortality or something because we’re gonna need it. OMGGG YOU ARE LOVELY. :’) I shall go read that ASAP!! I agree with everyone that epic fantasy will definitely be the standout this year. I’m a contemporary fan but my most anticipated list is made up of mostly fantasy novels! There are so many fantastic series conclusions coming out this year: The Raven King (yes, I finally binged the series! 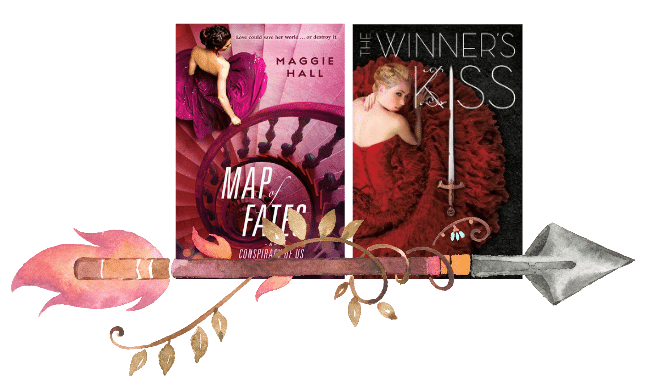 ), The Winner’s Kiss, Frost Like Night… I’m super excited about all the fantasy this year! SAME ABOUT MY ANTICIPATED LIST. I’m a notoriously avid fantasy fan anyway, but I actually haven’t heard of too many spectacular sounding contemporaries coming out?!? *gasps* Which IS a surprise since contemporary usually rules the seas! Scrolling through this post, it seems that blue covers and red covers are also trendy. And speaking as someone who’s also lgbtq+, I’m also quite excited for the cultural/lgbtq+ diversity – it’s something that’s definitely needed in books, and if it’s on the rise I couldn’t be happier! I am a die hard fantasy fan too! *hi fives* WE ARE GOING TO BE SO HAPPY THIS YEAR, ELLIE. ;D And it’s really nice that diversity is on the rise! The writers are hearing our pleas. WOOOOT. AHAHA THEY SAID IT ALL. I agree with Aine, we need more killer robots and dragons. There’s no such thing as too much *nods* ALSO OMG CAIT. My TBR. It can’t take this anymore, the books are too much ;-; So many books, so little time dammit. I loved all the predictions! We shall always need more dragons. 39839 MORE DRAGONS. I think every. single. book. of. ever should really incorporate dragons because how wonderful would life be then? Perfect. PERFECT. I definitely agree with those predictions! I’ve noticed that YA Sci-Fi and Fantasy books have been on the rise lately, and I’m getting addicted with it! I’ll most probably read more books with those genres this year. Seems like YA books have been growing more and more through the years. Wow, look at this incredibly insightful and talented bunch of bloggers, whose great minds clearly think alike 😉 You already know my opinions on these, of course. I need ALL the books. Also, your graphics are simply gorgeous. Thank you for letting me be a part of the fun! I confess, I was worried that maybe I didn’t have clue and would be laughed off your blog- someone would be like “no no, silly, fantasy is over, the new trend is monkey space invasions” and I would have to weep in a corner. But yay, didn’t happen! Aren’t they all just so WISE and KNOWLEDGEABLE?!? I am in awe, basically. :’) Clearly everyone followed your totally wise and flawless example, Shannon. You are the star of gloriousness. This post is so much fun as always! Loved seeing everyone’s predictions in particular the fantasy, and diverse fantasy trend. I didn’t realise there were so many books on Pirates coming out and time travel so I’m looking forward to that too! So many books to read.! Ikr?! SO MANY BOOKS. Hopefully one of these time travel books will give up the secret so I, too, can time travel and ergo read more books. THIS SHALL WORK. I think…. it’s going to be fantasy and time travelling!! Also looots of diverse books are coming out as well. I’m sooo exited about all of them and I want to gobble them up right how! Fabulous post Cait!! YES to all the fantasy, EPIC FANTASY and TIME TRAVEL! I want it all <3 I sincerely wish all of these to take over the world. Seriously though, it bums me out when fantasy readers/bloggers give up the genre for contemporaries…not that I mind really but I could NEVER give up my fantasy for mundane romances where nothing magical happens LOL! SAME. I mean, I like a lot of contemporaries? But I will ALWAYS choose dragons and fantasy. <3 So I need mooooore of them. 2016 is looking to be SUCH a good year. YAY! Wow. Nearly all of you predicted fantasy and I’d have to agree. 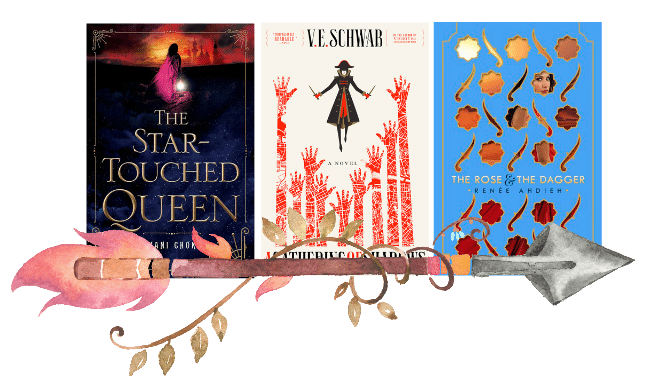 There are quite a few high fantasy novels lined up for this year and it seems like fantasy is going to be more prevalent this year than it has in a while in the YA. I thought that 2015 might be the year but it looks like it was still creeping forward there. I’m super happy about this because I’ve felt like high fantasy wasn’t as prevalent in YA as it should be (but this is also my favorite genre). Contemporary will also be a big thing, but it always is so that isn’t anything surprising. YESSS. It was quite exciting to see mostly everyone pointing out fantasies!! BECAUSE FANTASIES ARE LIFE, ZOE. I AM SO HAPPY RIGHT NOW. I am eagerly anticipating all the new fantasy!! Also, I agree with like everything who contributed to this post, diversity is extremely relevant at the moment. I did an interview with Sarah J Maas (along with others) and she talked about how she incoperates diversity into her books! EXACTLY. TRUTH! I love fantasy. And we need more epic ones. :’) I haven’t ever read a time travel book, so I’m kind of excited to change that this year?! OMG yes! Pirates, fantasy, Aladdin-inspired stories seem to be very popular this year since there are so many of these books coming out! And I’m not complaining at all! IT’S SO WONDERFUL I COULD CRY. <3 I love fantasy and diversity and I'm glad the authors are hearing our pleas. hehe. EEEP. Thank you. ;D It’s becoming a bit of a yearly tradition so WOOT. I’ll have to do it every year now and NO REGRETS.😂 I think retellings are on the low? But they’re still there, which is a relief to me. I’m happy it hasn’t kersplatted like dystopian did. I neeed to read ADSOM. *facepalm* I mean I have zero excuse for not having read it yet.😂 I love VE Schwab’s other book Vicious. SO AHEM. That’s top of the to-do list. Oh oh and yesss, it’s so good diversity is solidly on the rise. This was a fun post. I’ll be thinking about these trends to see if they carry throughout the year. We should do a follow up post at the end of the year, right?!?! 😛 But I do hope they come true because fantasy = my everything. I feel like there is definitely going to be lots of fantasy this year. I love fantasy, and I’m so excited for all the new fantasy books releasing this year. I love fantasy too! FANTASY DANCE OF HAPPINESS WITH ME, JOLLYGIRL! HUZZAH! I thoroughly enjoyed reading this! And dragons, yes!! And TBR list forever goes on increasing!! OMG THIS HAS JUST EXPANDED MY TBR WISHLIST BY ABOUT 100 TIMES I DON’T KNOW IF I SHOULD CRY OR SQUEAL. I’m going to go with squeal because aaaaallll the books. Fantasy is definitely becoming more of a thing these days – but you know what seems to be decreasing (at least in my opinion anyway)? Dystopian novels. I haven’t heard about many particularly groundbreaking ones for AGES. And also, SO MANY GREAT BOOKS. How on earth am I going to find time (and money!) to read them all? But yeah, 2016 is shaping up to be a fantastic year for YA lit. OH WE CLEARLY MUST BE RIGHT THEN. *hi fives* It’s becoming a habit to do a prediction at the beginning of each year…a habit I’m happy to keep up. ;D so much fun, right?! AHEM. But yes. Let’s rob a bank or something shall we? Dig a gold mine? Sell our siblings? What a fun post! It will be interesting to see which predictions come true. I think most of these genres mentioned are probably genres we’ll be seeing more of this year. I haven’t read a lot of YA books lately, so I am not really up to date to what’s new and upcoming. I already am looking forward to some great books that will be released this year, although it’s mostly books that are part of a series or by an author I alreayd know that I have pre-ordered. And I am really getting into cozy mysteries lately so I am buying a lot those. It would be nice to see cozy mysteries in other age categories than adult. A YA cozy mystery would be fun. From the books listed here, Truthwitch is on my to-read list and My Lady Jane sounds promising too. And I lvoe the cover for Passenger, but not sure if it’s a book for me. I’m definitely with you guys on the pirate books. I’ve been seeing a lot of sea travel cropping up, and I have a feeling we’ll see more joining the mix. I’m also super psyched about the continuing dominance of fantasy, since, like Cait, it’s my favorite genre of all time, and there were so many years where high fantasy was pretty scarce. I’m loving that we’re getting high fantasy from different cultures. Mental health books also seem to be going strong and increasing in popularity. I feel like a lot of the contemporaries coming out deal with some kind of mental illness (First Time She Drowned, among others). I have so many tabs open now. SO MANY. I wouldn’t really say fantasy is a new trend (but maybe that’s because I’ve always read a lot of it?? ), but I can see where you guys are coming from with more diverse settings, that is SO awesome and I will be checking out ALL the books. The main thing I’ve noticed the past few weeks are all the time travel books too! Like, where did that suddenly come from? Wow, I really do have a lot of books I want to read now, and they’re not even out yet aaaah what will I do (other than read the 23934295382 books on my TBR that I shamefully walk past every single day)???? And I like these collaborative posts, great idea. 🙂 And it seems like you were right with the retellings last year! All the time travel books? Where did they come from? CLEARLY THE FUTURE, VLORA. CLEARLY. My cold black heart agrees with your gold black heart. DARK FANTASY OF DESTRUCTION AND DOOM. <3 YUS PLEASE AND THANK YOU. I’m really delighted to see that both fantasy and diversity are on the rise in the YA community! I’m really enjoying YA branching out into different mythologies, and retellings seem to be on the rise. Time travel really does seem to be popular this year, as do pirates (and also time travel pirates, which is exciting)! I have to say, that from what I can see of the releases coming this year, fantasy really is on the rise. I think with the popularity of series like Throne of Glass, everyone wants more books like that to sink their teeth into. I’d LOVE to see more LGBTQIA+ novels this year. There are quite a few being released, but when that number is compared to all the novels with cisgender and heterosexual characters … it is still REALLY small. Which is super disappointing, since so many people are calling for more books with diverse characters, and the diverse books last year were so well received. I guess it’s a slow race, with small steps being taken. Hopefully there might be some more titles towards the end of the year, or next year. Isn’t it so glorious?!?! *dances happily* Thank goodness the world took a shine to ToG so we get more FANTASY HUZZAH! HUZZAH! And yes, I think diversity still isn’t in every book yet? Which I personally think it SHOULD be. So I’m hoping that starts to happen more… and so true! At least steps ARE being taken and I feel like the authors are really listening?! I AM SO BEYOND HAPPY THAT THERE IS SO MUCH FANTASY. I can’t even remember when I last read a contemporary, I need my fantasy! I hope fairytale retellings continue to be a trend, I eat that stuff upppp. And holy guacamole how pretty are the covers of books coming out this year? MY TBR IS CRYING but mostly with tears of happiness. Thank you for making this amazing post, Cait! I really do think contemporary and fantasy novels will dominate this year. I’m also noticing that dystopian books are slowly going away. I am SO EXCITED about more time travel. I have only read a handful of time travel books. Passenger looks amazing. But I also like Aine’s idea about killer robots . . .
Whooo! As an author of diversely-set, YA Fantasy, I am whole-heartedly standing by your predictions and grinning a crazy little grin. Plus, I just added about twenty books to my TBR, so, thanks for that. I am mad excited for the Indian-set fantasy ‘The Star Touched Queen’ as that sounds wonderful and this post reminded me of it, so yay for anticipation. Oooh, go you for writing diverse fantasy. ;D YOU ARE CLEARLY AWESOME. THAT IS ALL. Oh I agree with ALL THE TRENDS. Diversity is definitely on the rise (yay! ), I just hope it’s done accurately, so that I can actually learn and understand what is going on! And I have already seen a ton of time travel (Into the Dim is another one, right?) so that seems like the next big thing! I think all of these predictions are SPOT ON. PIRATES, ARRRR ME HEARTY. I’m so so ready for pirates. Someone steal me a ship. I’VE NEVER HEARD OF THAT BOOK 😮 But I’m looking it up right now and it sounds amazing. A CHINESE GIRL AND A SLAVE??? OREGON TRAIL??? MURDER AND MAYHEM OH MY GOD SIGN ME UP! Oh my goodness, I go on a blogging hiatus, come back and discover that you’ve totally changed your blog (LOVE the new look!). I don’t pay attention to trends, but I’d love to see more pirate/sea/travel books coming out (especially if steampunk is thrown into the mix). I don’t read a lot of traditional fantasy, but I”m not opposed to exploring this more, especially within the parameters of YA. Welcome back from hiatus, Sara!! ;D AHhh I’m glad you love it. IT IS MY FAVOURITE. *hugs blog design* And I’m also glad you still recognised the blog, hehe, it’s pretty drastically different, right??! Ahem. ANYWAY. If you do decide to devour more fantasy this year…I AM PROUD. :’) It is my favouritE! YAYYY I’m glad you liked it! *happy dance* XD I want a bazillion books on pirates tbh. They are awesome. And dragons. WHERE ARE MY DRAGONS?!?! Wow, this was interesting. o.o I will never ever complain about Fantasy becoming a bigger thing!!! YESSS. FANTASY IS QUEEN OF ALL. (Er… aside from you, of course. It’s a queen… below you? Maybe?) Finally maybe the dystopian trend is over?? PLEASE SAY YES. Also Pirates. No complaints from me on that one either. <3 ALL OF THE PIRATES, ME HEARTY. Yes, I’ll let fantasy be, like, the sub-queen. Or like the queen of the bookish genre realms, whilst I am queen of the universe. *nods regally* I can allow that. PIRATES ARE AWESOME ME HEARTY. ARR ARR. I think you guys were pretty spot on! I’m also so so excited for all the books that are (kind of?) historical fiction. I love me some historical fiction. OHHH OH I think, I predict that there will be more time-travel books. Or maybe it’s just that Passenger is stuck in my head hehehehe. BUT I’m hoping there’ll be more epic fantasy books. I loooove epic fantasy. I can never get enough of them. Oh? I’m sure VE Schwab isn’t meaning to incite ARC envy though?😳 I mean when you give away books, especially ARCs, it seems fair to ask the bloggers/readers to promote, right? Omg! Really?!? Well I don’t doubt you at all….I just thought she seemed like a super nice person so I’m awfully surprised. THAT IS SAD. And it does seem really off-putting. Like if she did that to someone specifically, why would they read/buy her books? gah. I was shocked, too! I thought she was really sweet and had had conversations with her on Twitter about her moving and things, and I have even reassured her when she was tweeting self doubts about her writing, but not anymore. It’s one thing to know an author is kind of big-headed and expect certain things, but when they change like that, it really breaks my heart. Definitely agree on the epic fantasy, time travel and pirates (not sure about how that last trend came about….) And sadly, I’m not wildly excited about any of these trends. I feel like I feel when I see that fashion has dictated that everyone should wear a color that I don’t like wearing. But the good thing about trends is that they change, so hoping that 2017 will be more my kind of year! Aw, that is sadness for you, Jen! I have to admit I’m not a fan of time travel. I haven’t really…read much??!? But it doesn’t grab me. The movies I’ve seen with time travel confuse the heck out of me. xD But pirates = I AM SO ONBOARD FOR THAT. 😛 I hope there are some surprisingly delicious books out there for you this year too, though. I totally agree that fantasy is making a comeback this year (even though it never really went away). But I am not complaining! I spend last year going through all of the fantasy books that I could get my hands on and found quite a few new favorites. I also think that sci-fi and space novels are going to have their time in the spotlight this year. Books like Beyond the Read by Ava Jae and the second Illuminae book are definitely going to make everyone crave more books set in space with science fiction elements. I also love that diversity seems to be integrated into more books this year too! I just hope that we can get to a point where diversity in fantasy and science fiction is not a surprise, but expected. The books coming out this year seem to be a great step toward that goal!